This article originally appeared in the Spring 2013 issue of Listen Magazine. 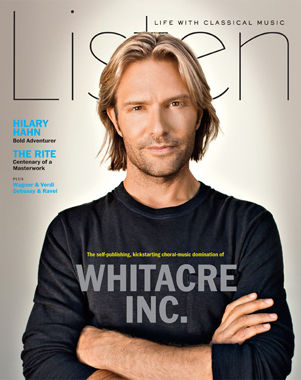 Eric Whitacre has made a fortune and become a classical music brand by peering at life’s ethereal side. Choral pieces such as Her Sacred Spirit Soars, Lux Aurumque and Sleep My Child are must-have tracks on every choral singer’s personal playlist, and ensembles around the globe strive to master the floating, mystical harmonies that make up his signature sound. A longtime Californian now based in London, Whitacre is nearly synonymous with American choral music, his work sung by choirs from Indonesia to Eastern Europe, Minnesota to Japan. His series of online “Virtual Choirs” have been a runaway smash on YouTube and are considered seminal within the short history of crowdsourcing. An extremely relaxed communicator, at any time he may expertly churn out Facebook updates, give a TED Talk on open-source media, or speak to business leaders in Davos, Switzerland (all of which he’s done this year). And he may be the only classical composer with a “merch” section on his website, selling T-shirts, mugs and hats. Whitacre has taken some inevitable knocks for his success, especially when it comes to his rock-starish appearance (complete with mane of blond hair). A modeling deal has brought him little street cred in diehard contemporary-music circles. But while his extreme business savvy can seem at odds with the beatific quietude of much of his music, numerous choral directors speak with a kind of awed reverence when asked about Whitacre and his impact on choral singing. The ecstatic aura heard by many in Whitacre’s music seems to owe as much to Barber’sAdagio for Strings or Vaughan Williams’ Fantasia on a Theme by Thomas Tallis as it does to any choral tradition. Its wide appeal rests at least partly on its incorporation of sound and spirituality but not overt religiosity. In that sense, Whitacrebears some similarity to mystically inclined composers such as John Tavener and Arvo Pärt. The American has composed instrumental pieces — mainly for concert bands, a small number for orchestra — but a cappella work feels closest to his heart. That fan contact takes many forms. 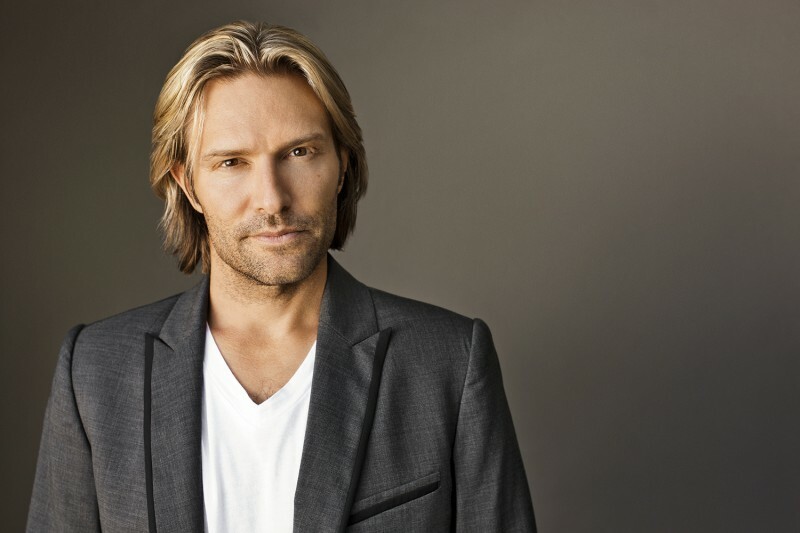 In March, Whitacre travels to the U.S. for the first time with the Eric Whitacre Singers, a vocal ensemble he assembled in 2010 specifically to perform his music. Following in the path of the Robert Shaw Chorale and the Dale Warland Singers — both named after high-profile conductors — Whitacre built the choir with a particular sound in mind. Whitacre constantly recalibrates the group’s lineup, which ranges from sixteen to forty members, but he insists that its real specialness is its communal character. “Getting people to form a community is something I truly love doing,” he says. The social nature of choral singing is not to be underestimated when understanding Whitacre’s appeal. Many choral singers have come to embrace their underdog status, having long been dismissed by conductors in rehearsals as mere “singers,” unlike the orchestra players, who are the “musicians.” Choral workshops and online networks double as support systems. In 2010 Whitacre unveiled the very first Virtual Choir performance, of his piece Lux Aurumque, assembled from YouTube clips of singers around the world. The idea, he says, started with a teenager from Long Island who sent him a video clip of her singing one of his pieces. “I thought, ‘Boy, it would be amazing if we could get a hundred people to do this and cut it all together and make a virtual choir,’ ” he explains. Whitacre went into a studio and filmed himself conducting Lux Arumque in silence. The video and parts were uploaded to his website, and a call went out to singers. For the first edition, one hundred eighty-five vocalists from twelve countries participated. Two more iterations followed, in 2011 and 2012, with membership roughly doubling each time. In 2012 an online performance of Water Night contained nearly four thousand videos from seventy-three countries. “With the last one, Virtual Choir Three, we actually tried to slow the growth, because it’s hugely expensive, and each time it gets bigger it gets more expensive,” says Whitacre. For the planned Virtual Choir Four this year, the composer turned to the fundraising site Kickstarter. After a measured launch in January, the campaign surpassed its ambitious goal of a hundred thousand dollars, with over one thousand nine hundred donors covering the production costs. In an early-January Facebook post, Whitacre wrote, “Behind the scenes we are doing all we can to find ‘big donors’: corporations, wealthy individuals, etc. What we need from you, dear reader, is a small contribution. $5, $10, $25 doesn’t seem like much until 10,000 people do it, and then it becomes a very powerful force.” Indeed, more than half of the Kickstarter campaign’s donors gave less than fifty dollars. Whitacre has more than one hundred ten thousand Facebook followers — a figure growing by roughly five percent a month — with the largest subset consisting of fans between the ages of eighteen and twenty-four. 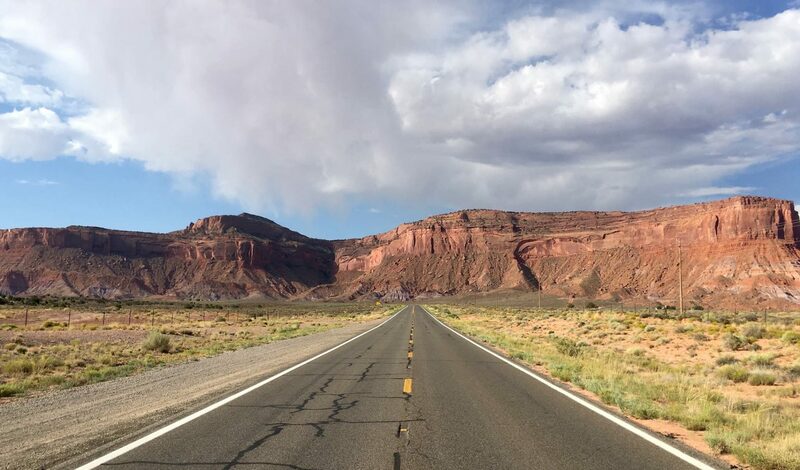 All one hundred ten thousand (as well as Whitacre’s thirty-five thousand Twitter followers) receive almost-daily updates from the composer on his various projects (in December alone, twenty-four Facebook posts touted the Kickstarter campaign). While Whitacre says he enjoys the fan interaction (“Composing can be a solitary profession”), a dedicated social-media strategist helps him manage his many online properties, including his Pinterest, Tumblr and Google+accounts. Decca, with which Whitacre signed in 2010, adds reinforcement. The unveiling of Virtual Choir Three, featuring Water Night, coincided with the release of the album Water Night. There is no word yet on whether Virtual Choir Four, featuring Whitacre’sBliss, will be tied to an album release, although the video is to be featured in July at Buckingham Palace as part of a festival celebrating British culture and the sixtieth anniversary of Queen Elizabeth II’s coronation. Whitacre speaks about the phenomenon as if it’s a big, benevolent monster he’s created, observing that his fan base is evolving offline. “If I post things on Facebook and Twitter, that’s a way to engage with some of them,” he says. “But oddly, they’re starting to meet in public. And more and more [the group’s] getting bigger and bigger, and forty or fifty of these singers will come and meet and sing together, and I can imagine that growing bigger and bigger.” HD movie-theater screenings of his performances, which would give fans an opportunity to gather and sing along, are a future goal. Marian Dolan is a choral director in Naples, Florida, who for many years organized international choral conferences around the world. She believes that because Whitacre was the first to seriously use social media in choral music, he has caught on in many far-flung places. “Whenever I asked colleagues from Bulgaria, Estonia, or Argentina, ‘What American music do you know?,’ the response was always the same: ‘Eric Whitacre, Morten Lauridsen and Moses Hogan’ — not Aaron Copland or Virgil Thomson. I was always quite drop-jawed. Whitacre began his advanced music studies with noted Ukrainian composer Virko Baley at the University of Nevada, in his home state. He went on to study at Juilliard with composers John Corigliano and David Diamond. By the 1990s his choral works were drawing attention: His 1992 Cloudburst and 1995 Water Night were rapidly gaining currency; the latter is, to date, his most popular composition. Though recordings of his work began to appear in the late 1990s, 2006 saw Whitacre’s breakthrough: a collection of choral music on Hyperion performed by the choir Polyphony and directed by Stephen Layton, which featured the hit Cloudburst and elicited glowing reviews. But it was one of a handful of band works that had a pivotal role in determining Whitacre’s future business dealings. As the composer tells the story, a major publishing house offered to publish his orchestra work Equus, but told him first that his fee structure, at a hundred fifty dollars for score and parts, was three times the going industry rate. The publisher also told him that a composer only receives ten percent of net royalties. “I remember sitting in a Jack in the Box [restaurant] with a paper and pen and doing the math and saying, ‘This can’t be right,’ ” says Whitacre, in what appears to be a vague blend of naïveté and instinctive savvy. Whitacre determined that by self-publishing, he could continue to charge three times the going rate and retain his copyright, which also allows him to keep seventy-five percent of the proceeds. In recent times, he has struck self-publishing deals with Hal Leonard, Chester Music and G. Schirmer, who handle matters like printing and distribution but allow him to control his copyright. As he sees it, he gets greater creative and financial control, and he doesn’t need to pay a publisher to manage the promotion of his work. Still, collaborations with pop and rock musicians could play a larger part in Whitacre’s future. He cites a number of artists with whom he’d like to work on choral versions of their music, including Peter Gabriel, Sting, Björk and Radiohead’s Jonny Greenwood. The hope would be to write covers “with real depth or actually write something with them” for a Decca release. And while he has collaborated with film composer Hans Zimmer on Pirates of the Caribbean: On Stranger Tides, he’d like to work more in Hollywood.